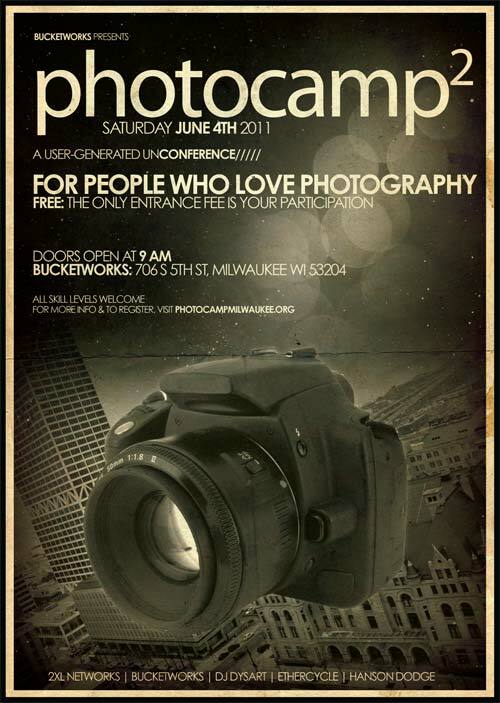 Have I mentioned that Milwaukee’s own PhotoCamp is happening again? It’s PhotoCampMilwaukee2! PhotoCampMilwaukee2 is set for Saturday, June 4th, 2011, from 10am to 10pm at Bucketworks in Milwaukee, Wisconsin. Visit photocampmilwaukee.org for more info and to register. Right now we’ve got about 50 people registered and ready to spend an entire day teaching, learning, and practicing photography. It should be a good time… join us! Posted on Wednesday, May 25th, 2011 at 5:00 am. Subscribe to the comments feed. Both comments and pings are currently closed. Post on your own blog.